At this point I have three Feddersen 10/22 barrels. Unsurprisingly to Feddersen, all three barrels pretty much hold the exact same 50-yard playing-card splitting accuracy. These barrels are by far my most consistent shooting barrels of all 10/22 I own. 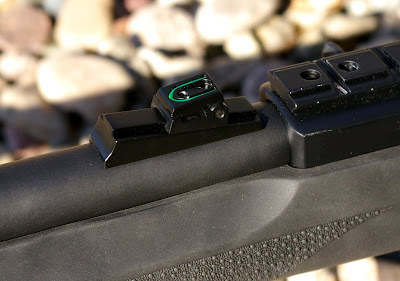 This is because of Feddersen's patented manufacturing process, however this article focuses on a unique option - a high precision Bull Barrel with Fiber Optic sights which delivers the ultimate .22LR survival rifle. On my last order, they strongly encouraged me to try their 16.25" barrel “standard” dark blued with Fiber Optic Durasights. In essence it is exactly the same barrel I tested before and netted near identical groups as my other Feddersen barrel, so close in fact it become pointless to record and share them. Suffice to say, near single hole 5-shot groups a 50-yards are possible. As a fairly proficient iron sight shooter, the idea of having a precision 10/22 match barrel with iron sight was intriguing. 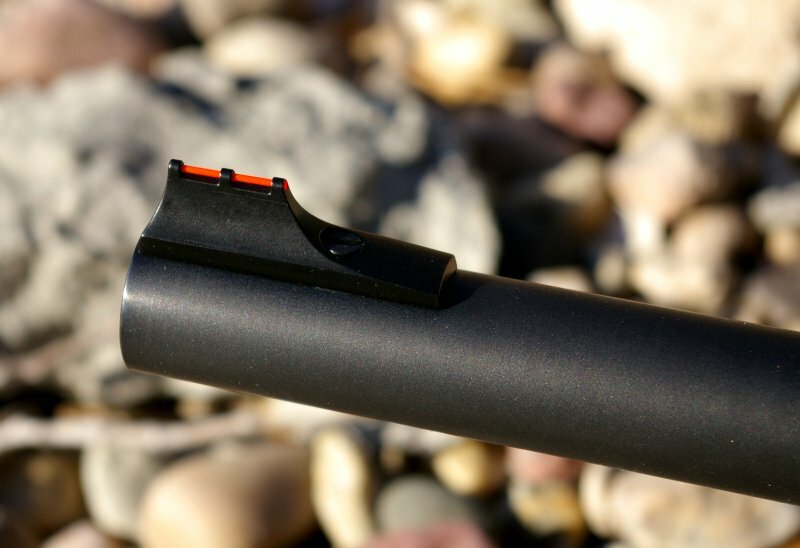 Most stock Ruger 10/22s can manage 1" groups at 50-yards when scoped with a 3-9X scope, a Feddersen barrel can deliver near single hole group with that same optic or roughly a 100% improvement. With iron sights, I can manage 50-yard 3" groups with a stock 10/22, but how would those groups look with a barrel capable of nearly 100% better accuracy? 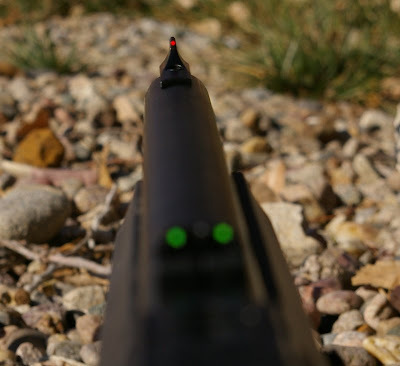 Let find out what the Feddersen Durasight match bull barrel can do. The company is known by many names; Feddersen, R4, 1022rifle.com, and Gunbarrels.net. Even with that identity crisis, Feddersen is a name people know. The company was founded in 1979 by Fred Feddersen and has become rather famous for his world record breaking patent pending R4 .50 BMG gun barrels. The company’s barrels are so well regarded that they do also have several military contracts for their proprietary barrel designs. Fred has been making gun barrels for quite some time and knows that there is more to making match quality gun barrels than just drilling a hole in a steel rod and pulling a rifling button through it. Each and every step of their in house barrel production is unique and in fact their entire process is patent pending and trade secret process. Unlike many barrel or firearms manufacturers, Feddersen is not buying pre-rifled blanks and just finishing them to their own specs, they are producing 100% of their barrels in house from solid round bar stock. They have a special drilling process, a patent pending ultra-sensitive lapping/honing process, unique patent pending and proprietary SEPR - Single Edged Polygonal Rifling, and one of the few companies in the world which offer a barrel with near perfect centricity and straightness between the bore and profile. Amazingly enough their 10/22 barrels start at only $145. Based on the three Feddersen barrels I own, they are without question the most consistently accurate 10/22 barrels you can own at any price. As noted before the finish is consistent and the bluing flawless. Feddersen offers two barrel finishes, a standard "matte black" and a "polished". If you want a pretty polished finish then the "polished" is the way to go, but in this case the matte black unfluted barrel was the look I wanted for this more survival rough and tumble rifle. For the base of the rifle, I picked up a new standard $225 10/22 Carbine model and promptly sold off the unused factory blued barrel and carbine stock for around $70. I turned around that $70 and purchased a Hogue overmolded bull barrel stock. The trigger surfaces were polished reassembled, the Fedderson Durasight barrel was mounted into the action, and finally the barrel action was mounted into the Hogue stock to assure the finicky action screw was just snug. The barrel upgraded netted no surprises other than I was shocked stunned and amazed at how ergonomic and naturally those nice bright fiber optic Durasights came into perfect alignment with my eye. No longer did I need to smash my face against the stock to align the sights. A front fiber optic sight is a stunning improvement and the addition of the rear fiber optics as well makes the entire setup a joy to shoot even with just a nice moonlight to make the sights glow. The Fedderson barrel features Benz style match chamber, recessed match crown, matte blued finish, and fully adjustable fiber optic Durasight Durabright sights. As with my other Feddersen barrels, they all feed and function just as reliably as my stock 10/22 barrel. Gary, at Feddersen, told me to zero at 50 yards and then see how easy it was to break clay pigeons at 100 yards with the open sights. Actually it was so easy we moved on to golf balls to give ourselves more of a challenge. I was shocked how well this setup performed all without an optic. At fifty yards I was easily delivering 5-shot sub-1” groups from the bench with CCI Standard Velocity, and Lapua SK Standard Plus ammo which are two of my favorite all purpose match hunting and plinking rounds. With LApua Exact match ammo, I was please to see several .75” nickel sized groups form at 50-yards. This barrel is crazy accurate and with a quality Nikon 3-9 ProStaff EFR scope attached I was easily back to shooting those same near single hole 50-yard groups as with my other Feddersen barrels. What was really fun was to run this setup in manually operated mode by holding the bolt closed during shot of CCI Quiet Ammo. 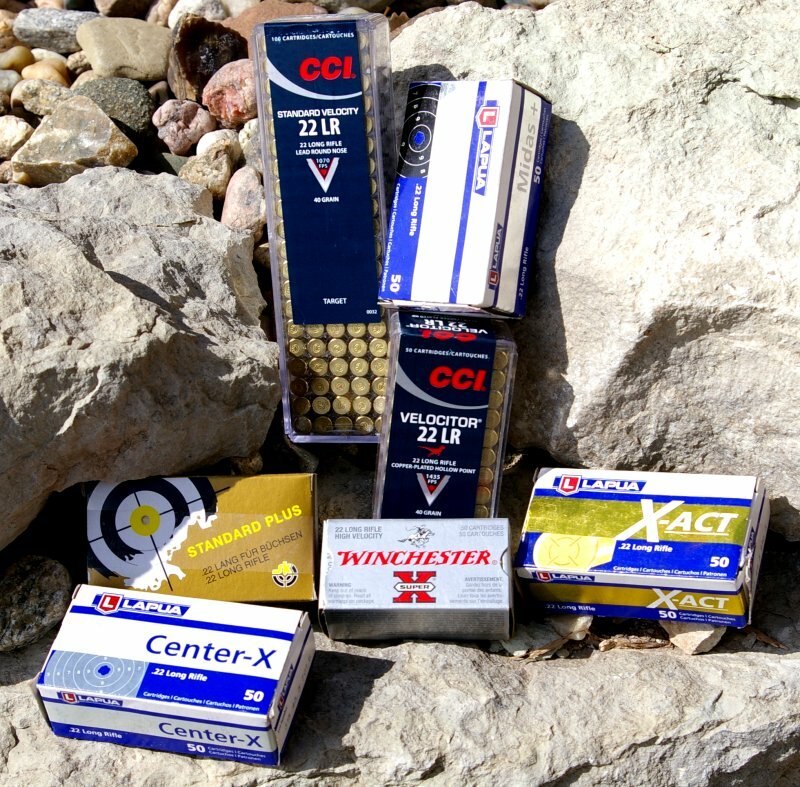 This newer CCI ammo has a reduced 750f/p/s velocity which delivers a report similar to “.22 Short” rounds, but it will cycle in the action manually so you do not need to hand feed it. This is an outstanding little setup that delivers suppressed sound levels without the need of a supressor. 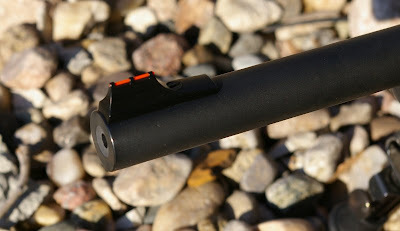 I would venture to say that this Feddersen Durasight’ed 16.25” barrel will deliver all the accuracy that is required of a .22 in a survival situation all without the additional weight, bulk, or sensitivity of an optic.. though the addition of that ProStaff really delivered tiny little groups. Sure a survival gun should be as light as possible and the full bull barrel does not help with weight, however it does deliver accuracy which is so impressive that the increased weight in a justifiable trade off. If I could only have one rifle in a wilderness survival situation, the .22LR arguably makes the best ammo dense option to taking small to mid-sized game and with this accuracy I am sure a quick humane head shot on larger game could be easily accomplished. 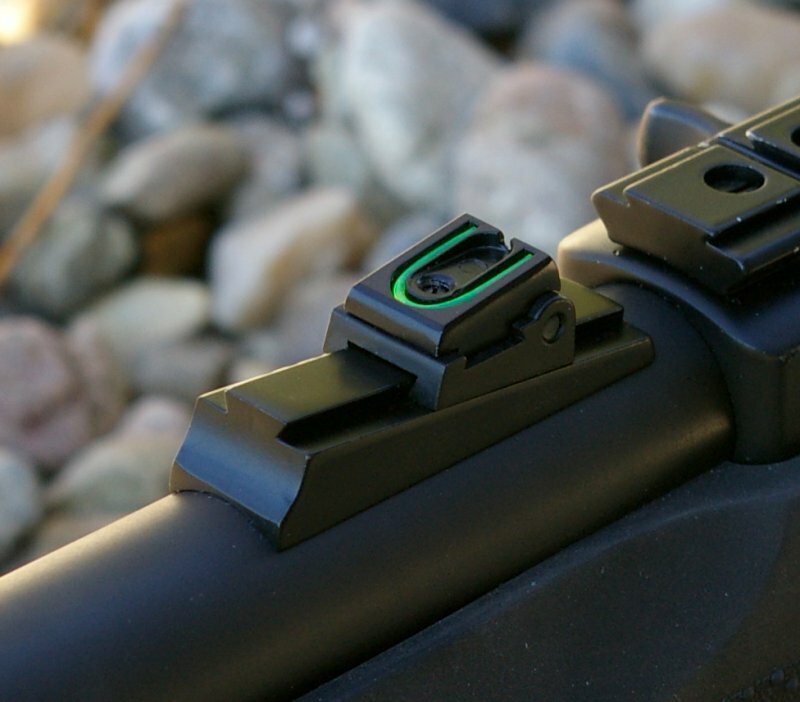 The Durasights are phenomenally bright and place the sighting plane perfectly as the rifle is shouldered. Of the 10/22s I own this Feddersen 16.25” barreled setup would certainly be my choice for a .22LR survival rifle. 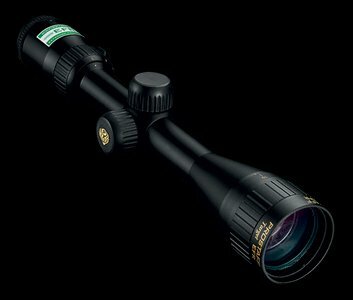 Optics Featured - Nikon ProStaf 3-9 EFR Scope with adjustable parallax. Where Has All Our Ammo Gone?